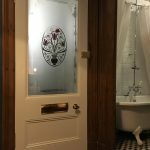 In 2014 we were asked to create a set of 5 deep carved etched panels for a doorway in Colchester. 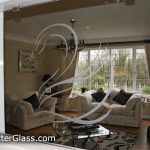 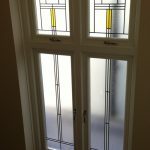 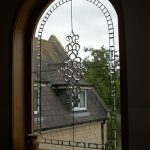 As the client wanted deep carved glass we could not use toughened glass because it would explode during the carving of the glass. 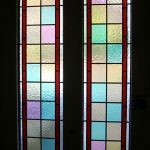 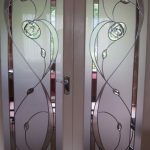 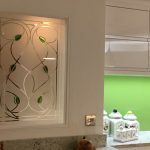 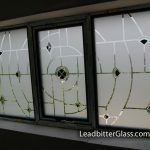 Laminated glass was the only choice and we used 6.4mm laminated for the decorative side and standard toughened glass for the back of the double glazed units. 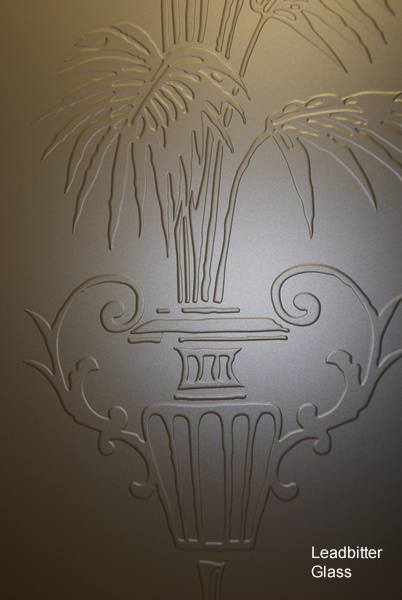 The design was fully etched so there were no clear areas to the pattern at all. 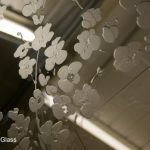 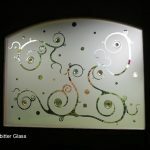 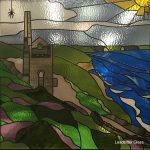 The background of the glass was etched once and all of the detailed areas were repeatedly etched between 20 and 30 times to give that 3D finish. 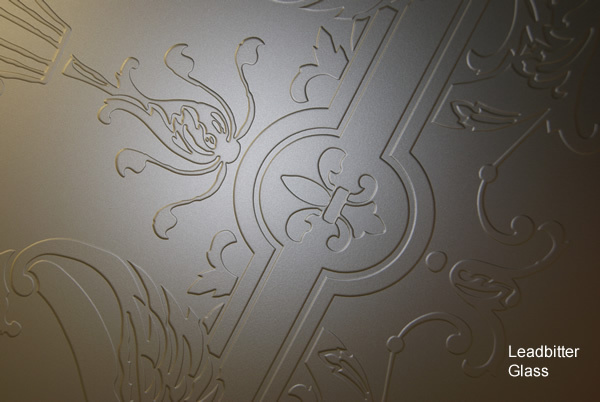 These close-up images below show the result achieved and you can see the drawings we created before manufacture, in the customers Client Page. 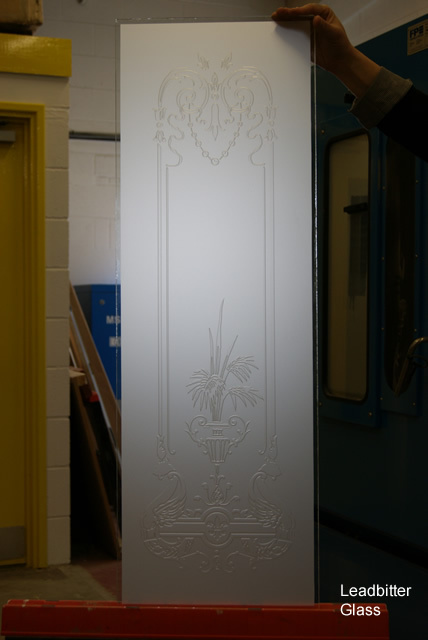 The original design that the customer selected was our 1490 design.